IPKO Foundation is delighted to announce the winners of the 7th round of the Next Generation Scholarship Program for the academic year 2015/16. After a thorough and dynamic review process, the best of the brightest students of Kosovo have been chosen and become now part of the outstanding family of 138 IF scholars. Out of more than 200 applications that we have received, there are 14 winners coming from various universities in Kosovo such as: University of Prishtina, American Education in Kosovo (A.U.K. ), ISPE College, University Education for Business and Technology (UBT), and University of Peja and mainly from municipalities such as: Prishtina, Peja, Vushtrri, Ferizaj, Istog, and Fushe Kosova. The number of winners has been extended from 10 to 14 scholars due to the excellence shown in the applications and IF’s commitment to positively influence as many students as possible. IPKO Foundation is delighted to continue contributing to the academic development of the Kosovar youth who show their potential, intellectual capacity, creativity, and drive to further succeed. This is the seventh time that IPKO Foundation supports students who possess a digital vision for Kosovo. Since 2009, IF has invested approximately 317,323.00 EUR dedicated for the scholarships. This scholarship was established to recognize the outstanding students enrolled at any accredited university in Kosovo who have the passion, creativity, and drive to become a digital leader of the country. 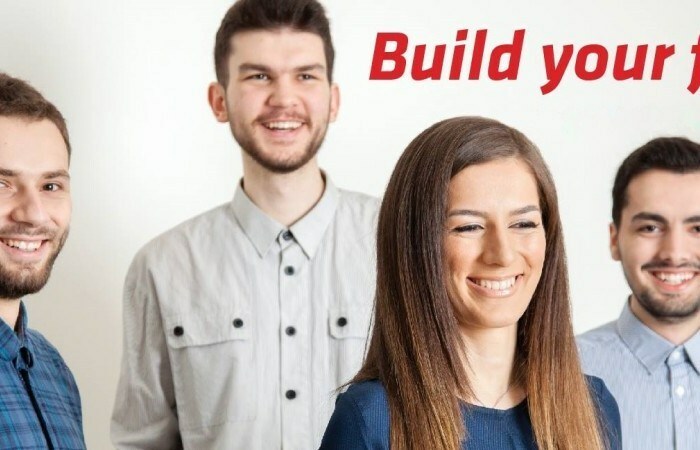 Therefore, if you consider yourself visionary enough to come up with an innovative idea on digitalizing Kosovo, IF strongly encourages you to start working from now because next year you may be one of the scholars! IPKO Foundation will undoubtedly continue working to add more bright students to our excellent community of bright scholars.